Fortis Green in north London is readily associated with The Kinks. But in the same musically fertile road stands the home of folk rock. It was here that Fairport Convention founders Ashley Hutchings and Simon Nicol decided they needed a girl at the front of the band who could play an instrument. 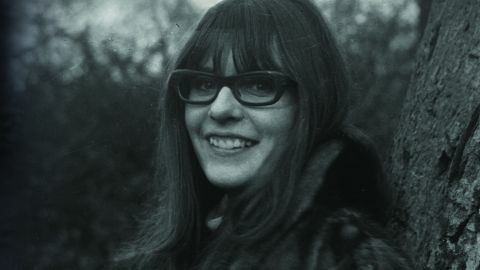 Judy Dyble, with her autoharp and crystal-clear voice, fitted the bill. Her fascination with the multifarious sounds emerging from the underground was paired with a disregard for stardom (knitting while Jimi Hendrix jams with her bandmates at the Speakeasy club in London) and a penchant for eccentricity (threatening to pelt readers of music paper Disc with bad herrings if they compared the band to Jefferson Airplane). Cruelly fired after Fairport’s first album, she formed Trader Horne with Jackie McAuley and featured in the beginning of King Crimson. Her quietly quirky recollections glow with warmth, while her return to the stage in 2015 is a cheering finale to a bohemian life well lived.